When I gave Kayla a call to schedule her reveal session to come see her maternity portrait gallery, she gave me the exciting news that she actually had given birth just a few days prior! We set her studio newborn portrait session date and I couldn't wait to meet her baby girl. 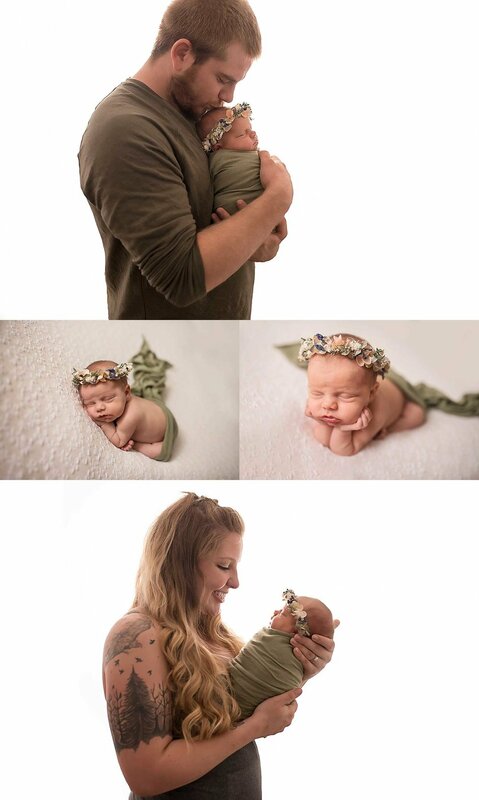 Her family traveled to my studio space in Puyallup, WA for me to capture their sweet new little one. Little Sage gave me so many expressions and smiles for her picture debut! Here are some of my personal favorites from their session experience with Stephanie Ratto Photography. 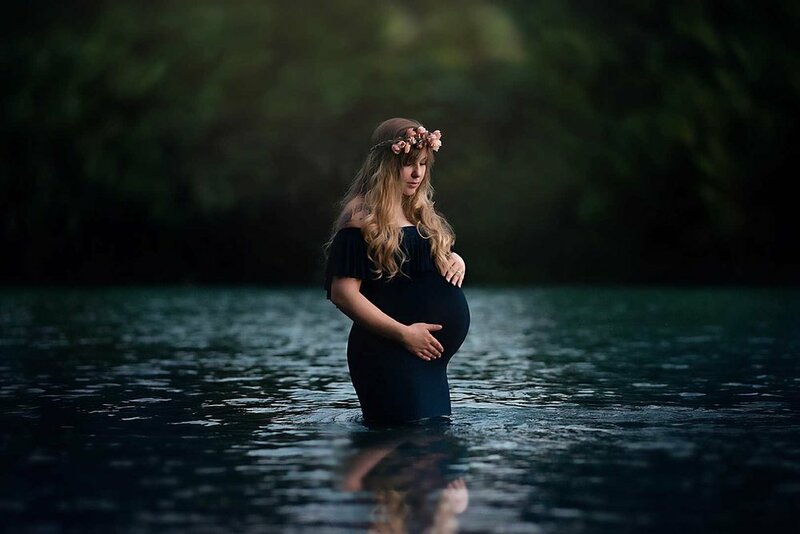 I had the opportunity to photograph this stunning mommy for her outdoor maternity portrait session. They are awaiting the arrival of 3 sweet baby girls. Big sister is just the cutest too! Mommy looked absolutely breathtaking wearing the black gown I offer from my maternity gown collection. It fit her perfectly! Clients, please don't worry about the winter season! As you can see, even with overcast days, we capture the most perfect moments! I also have some new long sleeve gowns coming in soon!